A paper by Chinese and Swedish scientists published in Nature Communications in August links glacier melting on the Qinghai-Tibetan plateau with emissions of black carbon. It finds that pollution from biofuels, not just fossil fuels, is an important source of black carbon, which accumulates in snow and ice and accelerates melting. Kang Shichang, a Chinese scientist and a lead author of the paper, told chinadialogue that cross-border action is needed to reduce black carbon emissions, and only inter-governmental communication and cooperation can provide a solution. 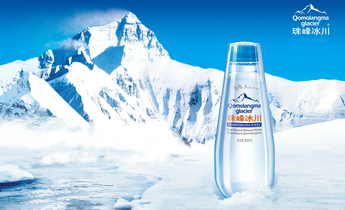 The Qinghai-Tibetan plateau is second only to the poles as the world’s largest store of fresh water. The source of many of Asia’s rivers and home to Mount Everest, the region is known both as the “Third Pole” and “Asia’s water tower”. 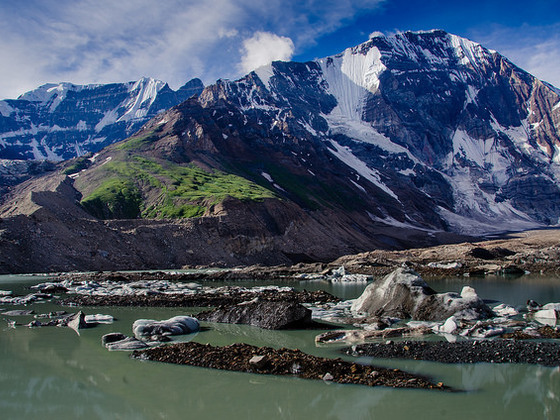 Experts warn that accelerated melting of glaciers caused by black carbon emissions and atmospheric warming will impact on water security in Asia and may result in grave environmental and social problems. Kang is director of the State Key Laboratory of Cryospheric Sciences at the Chinese Academy of Sciences’ Northwest Institute of Eco-Environment and Resources, and a researcher at the CAS Center for Excellence in Tibetan Plateau Earth Sciences. He told chinadialogue that while fossil fuel pollution is already taken seriously worldwide, in the regions surrounding the plateau more black carbon is emitted from burning biofuels than from fossil fuels, and that the use of new energy sources instead would be preferable. chinadialogue (CD): According to your research, black carbon is carried in the atmosphere to the Qinghai-Tibetan plateau where it accelerates glacier melting. What is black carbon? And can you explain your main findings? Kang Shichang (KSC): Black carbon is a product of the incomplete combustion of fossil or biofuels. It is carried to the Qinghai-Tibetan plateau in the atmosphere where it accumulates in layer after layer on the snow and ice. It absorbs light. The most obvious sign of it is a darkening of the glacier's surface. The build-up of black carbon accelerates melting. Large scale sampling and research found that the black carbon found in the Himalayas comes mainly from South Asia, and these findings were presented in Nature Communications, an international journal. The world is already aware of pollution from fossil fuel burning. What we hope to bring to everyone’s attention here is that in this region, more black carbon comes from the burning of biofuels – straw, wood, cow dung – than from fossil fuels. CD: If cow dung isn’t used as a fuel, the only alternative for locals may be coal. Does widespread burning of straw after the autumn harvest also contribute to the black carbon found on glaciers? KSC: Coal is a fossil fuel and is not an acceptable alternative. The media has reported our study as finding that “dung burning on the Qinghai-Tibetan plateau is causing glaciers to melt”, but that’s wrong, it fails to take into account that much of the plateau is sparsely populated and the extra black carbon from dung burning there is limited. Most of the black carbon arriving on the plateau comes from outside China’s borders, from Central Asia and Nepal, India and Bangladesh in South Asia. CD: How can we reduce the black carbon emissions from the burning of biofuels? KSC: One method is to improve the stoves used so that the fuel burns more fully and less black carbon is released. That’s a quick and cheap approach, and I’ve seen that international organisations are already helping people in Nepal in this way. Another option is to use new energy sources such as wind and solar power as an alternative. CD: After suffering smog and water pollution crises, China is changing the way it develops and making great efforts to develop new energy resources. But many other countries in Asia are still developing nations, how aware are they of new energy sources? KSC: Green development in China is already part of the development agenda and huge efforts are being made to tackle air pollution. That’s not something that’s happening in Central and South Asia. You feel you’re choking if you walk outside in Kathmandu; the roads in both India and Nepal are full of vehicles giving off black fumes. As most of these countries are still developing, they aren’t doing as much to tackle air pollution as China. CD: One part of China’s experience tackling air pollution has been joint action – for example air quality in Beijing was improved by working on a regional basis across Beijing, Tianjin and Hebei. 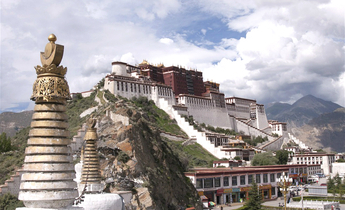 What measures are needed to reduce black carbon emissions on the Qinghai-Tibetan plateau? KSC: Air pollution crosses borders. If we’re going to reduce black carbon in the Himalayas and on the plateau we need cross-border action, with more communication and cooperation between governments. There’s a role for climate diplomacy here too. We carried out this study in the hope the nations concerned can refer to it when setting policy on black carbon emissions. CD: To what extent have the glaciers on the plateau receded? What consequences might there be if prompt action isn’t taken? KSC: The glaciers on the plateau have been receding for decades. This is happening faster on the periphery of the plateau than in the centre, and also small glaciers are melting faster than large ones. These trends are the same worldwide will remain the case for some time. As with global warming, we need to take mitigation measures as soon as possible by reducing emissions of greenhouse gases and substances which have a greenhouse effect. If those measures aren’t put in place then even if we don’t completely lose very high altitude glaciers, the overall quantity of water held will reduce and the role of glaciers in regulating water resources will be weakened. This would be hugely detrimental to sustainable development across the region.